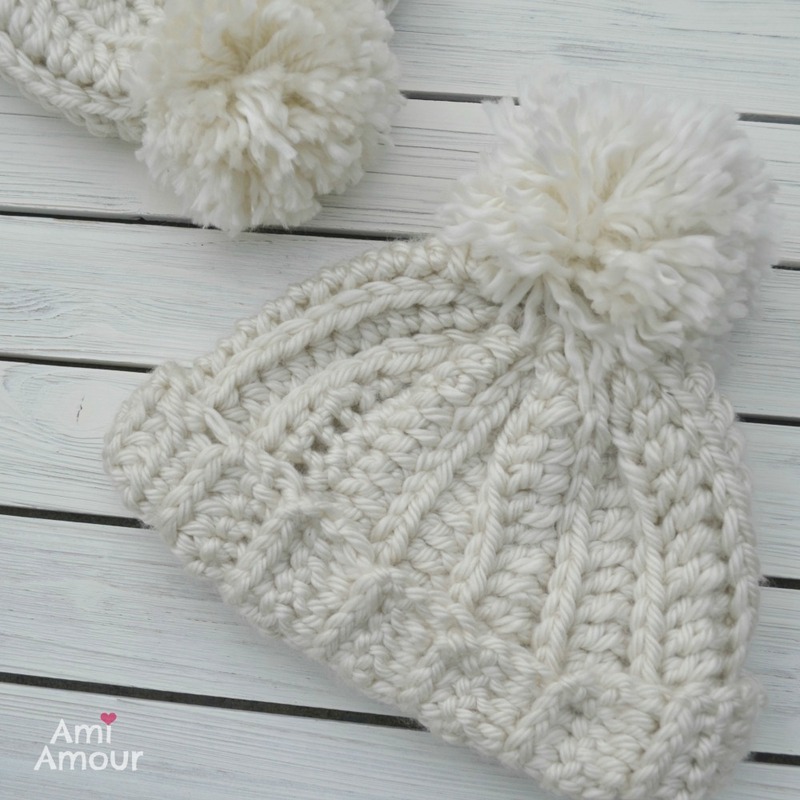 This Winter Chunky Hat Crochet pattern is the perfect antidote to a winter’s chill. I really love the look of Crochet Chunky Hats. Maybe part of the reason is because they work up so quickly (that’s always nice! ), but to me they just evoke a lot of fun and make such a great fashion statement. Living in southern California, I really don’t get much chance to wear hats too often, but for this hat I will find an excuse to wear it! 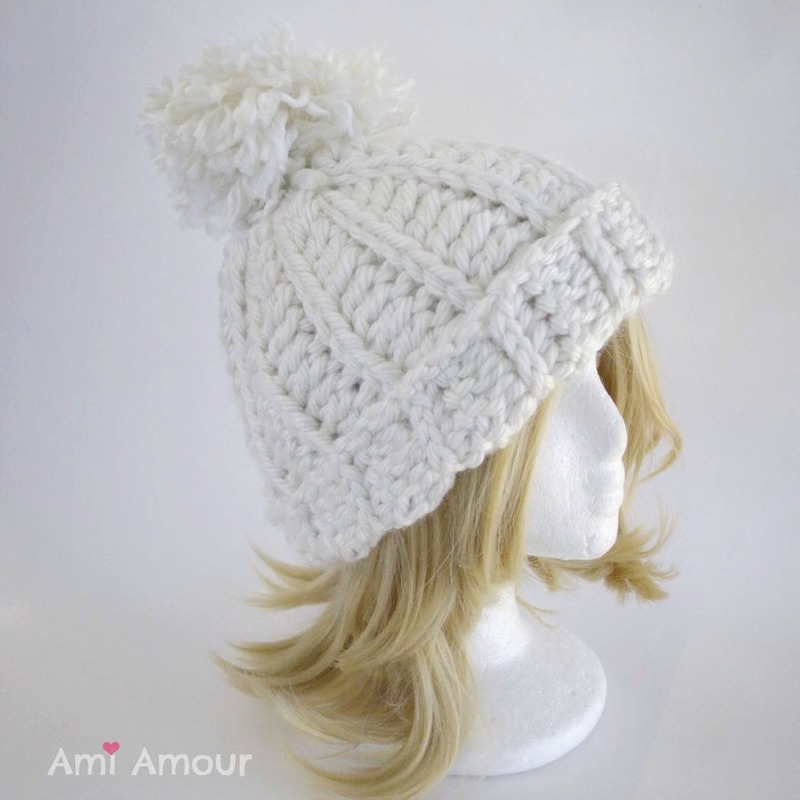 My first inspiration for this hat was actually the snowboarder, Chloe Kim (another SoCal Girl!). 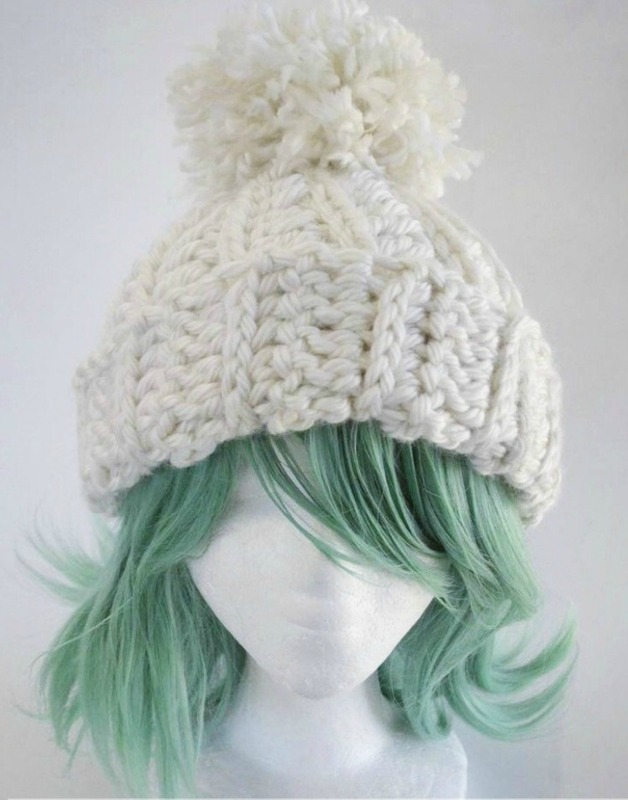 Seeing her win the gold medal and wearing a gorgeous knit chunky hat really made quite an impression on me and I’ve been really wanting to create a hat like that for myself. Just the look of a white hat against the white snow makes for such a classic winter moment! I named this hat “Whenever Winter” because firstly, whenever it’s winter, I’ll be taking this hat out to wear as a staple! And secondly, although winter here may be ending soon, I figure in our global society, it is pretty much winter somewhere on this earth of ours and someone, somewhere, wherever or whenever, will be able to put this pattern and hat to good use! 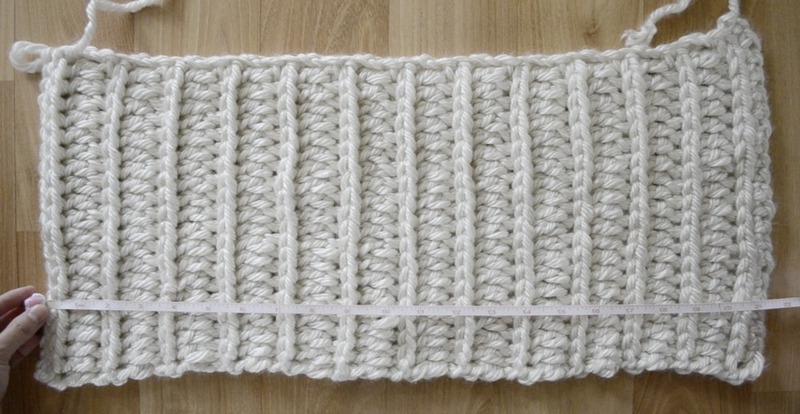 This hat uses 3 different crochet techniques, which includes foundation single crochet, modified slst2tog, and double crochet in the third loop. 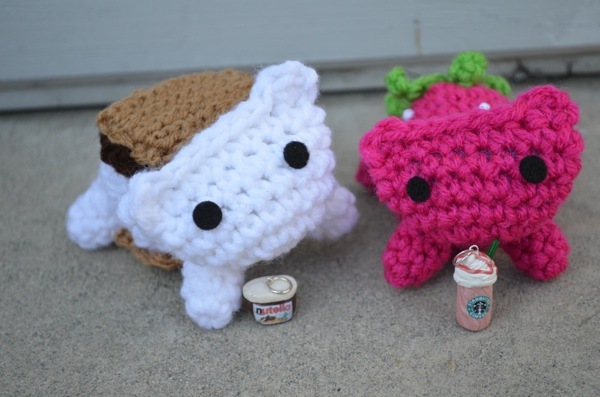 It seems like a lot, but they’re all very easy crochet skills to pick up. 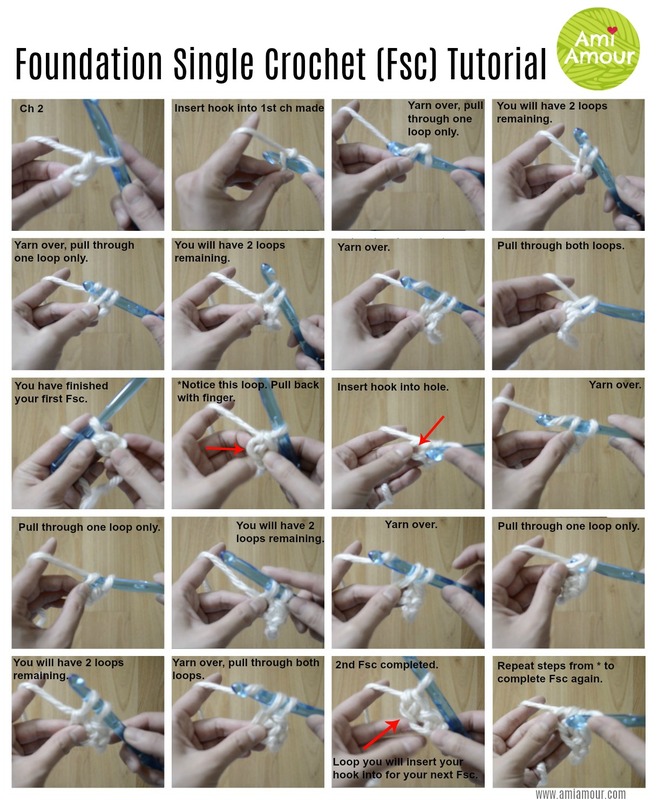 I have step by step photo tutorials so that’s it’s easy to follow and I’ve even created a video crochet tutorial! 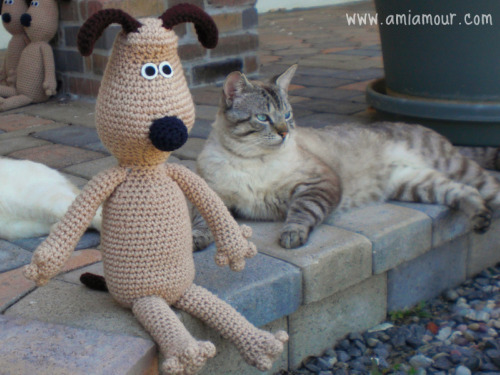 Please enjoy the pattern and video below! Row 1: 21 Fsc (or you can also ch 22, sc in next 21 st) – 21 sc. 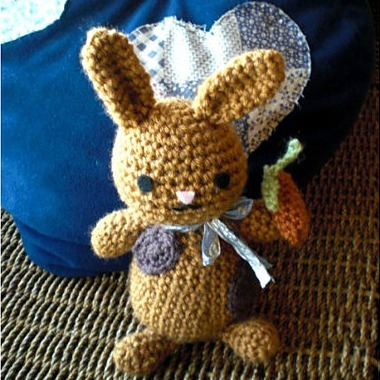 Photo Tutorial below after pattern. Row 2: Ch 2, slst2tog, modified slst2tog across – 21 sl st.
Photo Tutorial also below after pattern. Row 3: Ch 3, in 5th st from hook, dc in third loop, and continue to dc into third loop across – 21 dc. Notes: Third loop is located behind both the front and back loops. Now check your gauge: It should approximately be about 11 inches across. If shorter, you can begin Row 1 with more than 21 sc. If longer, you make less than 21 sc for the first row. 1. Fold in half. Close seam closed with 21 sc across. 2. 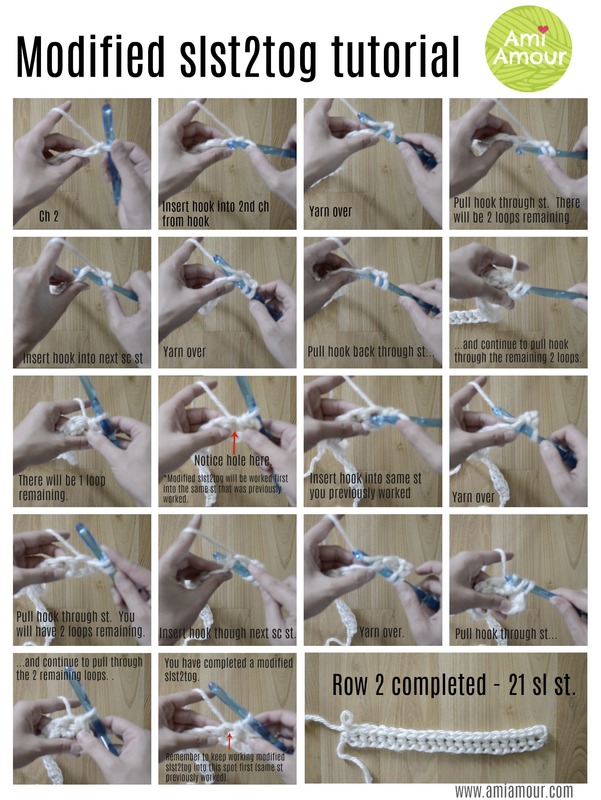 Use a long thread to create a running stitch across the top of the fabric. 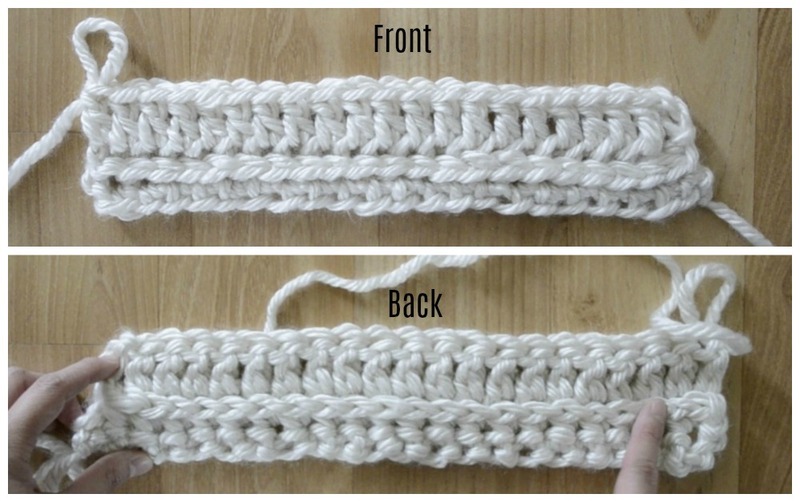 Pull in the ends like a drawstring to close the top of the hat. Sew closed and hide ends. 3. 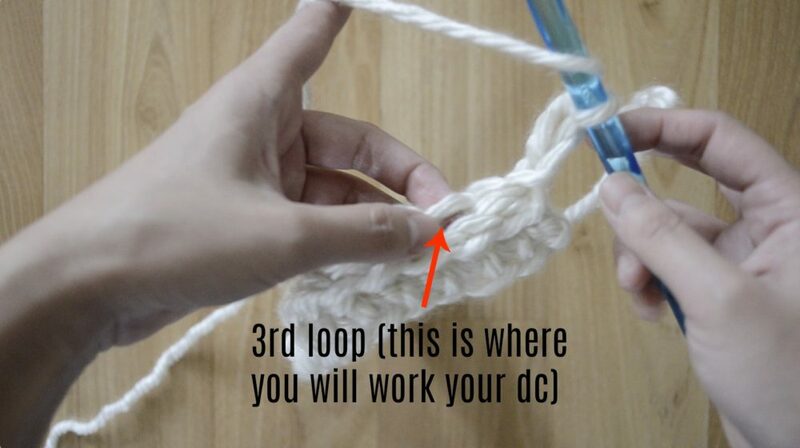 Create a large Pom Pom about 5 inches wide. Sew to top of hat. 4. Fold brim over. 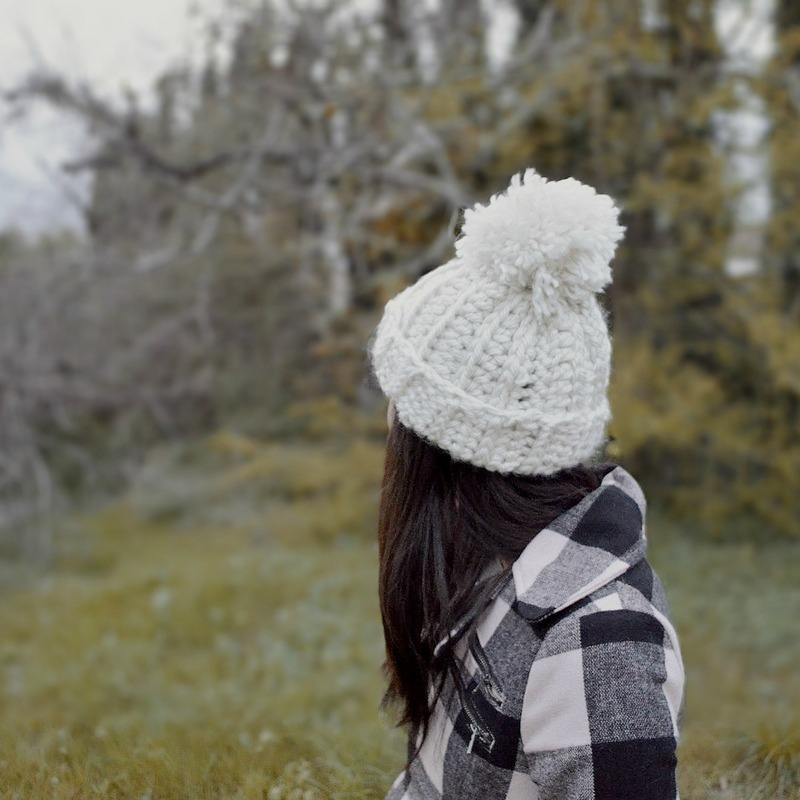 Your Whenever Winter Chunky Crochet Hat is ready to go! May you be warm and cozy and I hope it helps ward away the Winter Chill! I’d love to see your finished hat! Be sure to tag me in Instagram or Facebook! Save this to your Pinterest Board!